From melting away cellulite to decreasing joint pain, collagen benefits your body in multiple ways. Its definition describes why collagen benefits our bodies in so many ways: According to the Miller-Keane Encyclopedia and Dictionary of Medicine, Nursing, and Allied Health, collagen is "any of a family of extracellular, closely related proteins occurring as a major component of connective tissue, giving it strength and flexibility." Type 1: Present in scar tissue, tendons, skin, arterial walls, cornea, surrounds muscle fibers, fibrocartilage, intervertebral disks, bones, and teeth. Type 2: Found in joint cartilage, intervertebral disks, and the vitreous body of the eye. Type 3: Found in the intestinal walls, reticular fibers, uterus, muscles, and blood vessels. Type 1 collagen fibrils are so strong that gram-for-gram, they’re stronger even than steel, which makes this super nutrient so unbelievably beneficial to our health. While there are dozens of collagen benefits, these seven rank among the most researched and most valuable. Collagen improves hair health. Collagen is a major substance in the composition of the hair. It is well-known for increasing hair growth and shine—hence, the plethora of shampoos available on the market trumpeting an added collagen ingredient. However, to promote growth and achieve glossy hair, oral supplementation with collagen is required; applying collagen topically is of little benefit. Collagen strengthens teeth and nails. Receding gums often result in tooth sensitivity and can lead to decay and inflammation. Research demonstrates that type 1 collagen is able to enhance gum healing, which results in thicker margins around the tooth and healing of the roots. So, it protects your teeth by keeping them firmly in your gums. And aside from protecting your pearly whites, type 1 collagen is an excellent supplement for strengthening weak and brittle nails. Collagen supports digestive health in IBS and leaky gut syndrome. Glutamine, one of the amino acids in collagen, helps to reduce gut inflammation, aid digestion, and regulate the secretion of stomach acid. Studies have found that glutamine improves the intestinal lining in leaky gut syndrome. And interestingly, patients with inflammatory bowel syndrome (IBS) are noted to have decreased serum levels of collagen. To get the collagen benefits of improving the integrity of the digestive tract, you’ll need to supplement with type 1 and type 3 collagen. Collagen heals bones and joints. Bones, tendons, and ligaments are made up of type 1 collagen. However, studies show that type 3 collagen is of great advantage to healing injured tissue. So, taking type 1 and 3 collagen together helps strengthen weakened bones, tendons, and ligaments. One particular form of collagen called collagen hydrolysate also has been shown to decrease inflammation and pain in patients with osteoarthritis. Collagen hydrolysate, or “hydrolyzed collagen,” is collagen that has been broken down into a low molecular weight and is easier for the body to absorb than other sources. It can be found in powdered form online and at health food stores. Collagen is a metabolism booster. Perhaps one of the most exciting health benefits of collagen is that it is a natural metabolism booster. 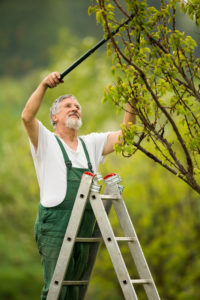 As we age, our bodies lose muscle mass, which is often replaced by fat. Collagen can help reverse this in two ways. First, an amino acid found in collagen called glycine helps form muscle by converting glucose into energy. Having more lean muscle tissue boosts your metabolism because muscle burns more calories than fat. Second, a study published in the journal Clinical Nutrition found that collagen helped aging individuals maintain lean body muscle and preserve nitrogen balance. Collagen improves skin elasticity and reduces cellulite. Have you ever heard of dermatologists and plastic surgeons performing collagen injections to improve the contours of the skin and fill out depressions to remove lines and wrinkles? This works because deep in the dermis (the middle layer of the skin), collagen helps form a fibrous network of cells called fibroblasts, upon which new cells can grow. It can also help heal wounds or burns and improve the look of scars—a reason why many wound dressings contain collagen. But, that’s not all! By strengthening the dermis of the skin, collagen also can help reduce cellulite. The dimpling look of cellulite occurs when fatty tissues are pushed up through fibers into the upper layer of the skin. By working on the inside of the body, collagen can help hide the cellulite. Studies indeed confirm that collagen supplementation is effective to improve skin elasticity, firmness, and thickness, including that pesky cellulite. 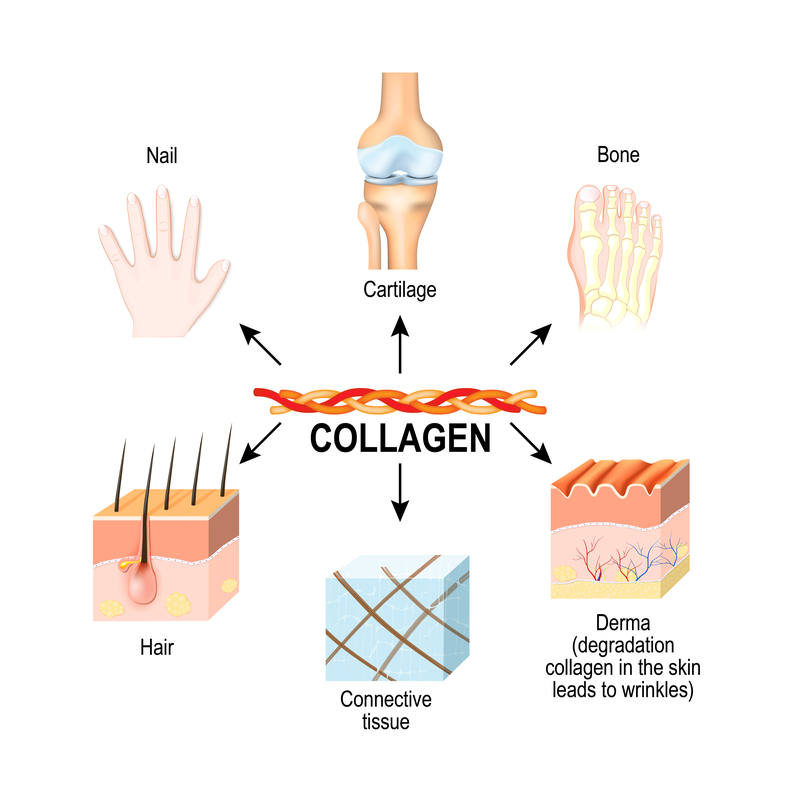 Unfortunately, the body’s ability to produce collagen declines as we age. Further depletion of collagen levels can occur from lifestyle factors such as a high-sugar diet, smoking or the use of other nicotine products, excessive sun exposure, and poor intake of collagen-rich foods. Foods high in collagen include wild salmon, leafy greens, citrus fruits, and berries, but the most popular way to consume collagen is via bone broth. Beef bone broth contains the highest amounts of type 1 collagen; chicken broth is higher in type 2. A better way to consume collagen is via a powdered supplement. Search for “hydrolyzed collagen” or “collagen peptides” that contain at least type 1 and type 3 collagen. The typical dose is one scoop per day, which would provide 5 to 15 grams daily. You can take up to 30 grams per day to achieve therapeutic effects; however, be sure to check the label for other ingredients or supplements. Purchase a pure collagen product that does not contain additives. 2. PLoS One. 2014 Nov 4;9(11):e111950. 3. J Clin Pathol. 2003 Nov;56(11):817-20. 5. Clin Orthop Relat Res. 1995 Sep;(318):265-78. 7. Clinical Nutrition 28.2 (2009): 147-155. 8. Skin Pharmacol Physiol. 2014;27(1):47-55. 9. J Med Food. 2011 Jun;14(6):618-24. 10. J Pharmacol Exp Ther. 1998 Aug;286(2):1014-9.
aging, alcohol, amino acids, bone, bowel syndrome, calories, cartilage, collagen, diet, digestion, digestive, digestive health, digestive tract, food, gastroenterology, glucose, health, health food, ibs, ibs, inflammation, inflammatory bowel, leaky gut, leaky gut syndrome, metabolism, muscle, muscle mass, nicotine, nutrition, osteoarthritis, pain, protein, skin, smoking, stomach acid, studies show, sugar, supplement, supplements, vitreous, wild salmon. Excellent article about collagen. There are also certain ways that can boost the production of collagen in the skin. These collagen-rich super-foods to improve skin elasticity and wipe years off your face. Visit zovon.